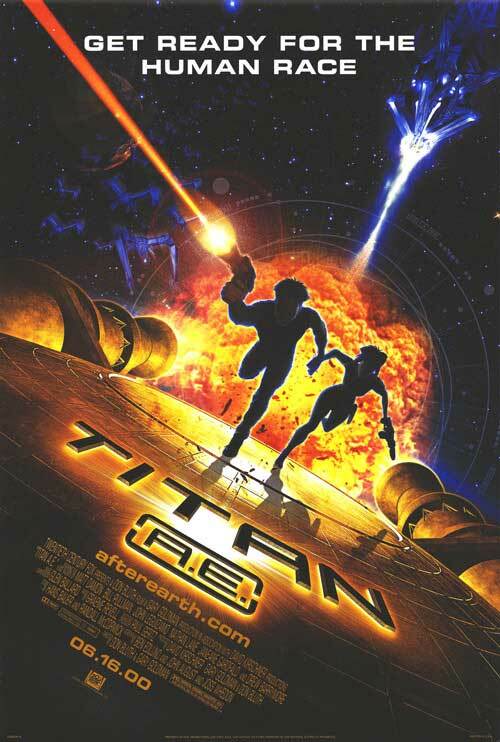 Cinemaphile: Cult Classics That Never Were: "Titan A.E." Cult Classics That Never Were: "Titan A.E." 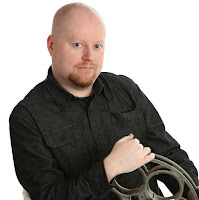 The following article was written in 2008, one of several reflection pieces meant to be published in a book that was being shopped around to publishers for the Online Film Critics Society. The book never materialized, but some of the submissions that various critics made were no doubt well-written essays that were also impeccable in the aesthetic known only to the most talented of online writers. I’m sure that some of the work of my colleagues from the project has since made it online, and because I’m never one to advise wasting a written word, the time has come to publish my own. Despite the fact that I wrote a review for “Titan A.E.” during it’s original theatrical run, I felt it was appropriate to revisit the movie and it’s ongoing reputation as an underrated gem. (Not so ironically, this piece was written for a chapter called “Cult Classics That Never Were,” which I now use as the header here to create the distinction of it not being a typical film review). It takes just as much luck as it does skill of the craft for a bunch of movie animators to break free of certain negative stigma. Case in point: 20th Century Fox Animation. In the year 2000 – or, more specifically, in what amasses to being eons ago in the ever-changing world of feature animation – here was an enterprise on the verge of financial ruin, its reputation scarred by an arsenal of domestic flops scattered across the cinematic canvas like leftovers from the mind of the latest disgruntled employee ousted from Walt Disney Pictures. To hear the mere names of them is to feel the disappointment in the air: “Once Upon a Forest,” “Anastasia,” and “The Pagemaster.” Whereas the 90s saw the resurgence of interest in the genre based on the narrative risks – and technological breakthroughs – that were going on at the House of Mouse, studios like Fox were vying for attention in a market way too competitive to tolerate normality. To abolish that restraint, someone, somewhere, needed to push the boundary further. Essentially, they had to expand an already-broadened horizon. Then “Titan A.E.” happened. The most teen/adult-driven endeavor of theirs in both scope and thrust, the elaborate science fiction vehicle shot for the highest of stars in nearly every way imagineable when it made its way to theaters during those summer months. To read into the suggestions of extensive television and internet advertising campaigns, it wasn’t just going to be the kind of movie you would go to and enjoy: it was also going to put a floundering producer of animated films back on the map. But such is not the fate that befell Fox in the end; though their movie was saturated in all the technical and narrative values that allowed the great Disney films of the 90s to soar, it still never quite found the audience it needed, and the studio’s Arizona-based offices shut their doors for good as a result. Once all was said in done, the movie joined a long line of feature-length cartoons destined for the DVD bargain bin at the local Wal-Mart. The hero of the movie is Cale (voiced by Matt Damon), a young adventurer whose sense of identity has been emboldened by an event from his youth that continues to haunt him and his fellow man. A massive storage vessel dubbed the “Titan,” containing every essential iota of detail necessary to replicate genetic codes for every living being that touched the surface of the Earth, is seen as an act of great arrogance and danger in the eyes of an alien race known as the Drej, and in order to maintain their superiority in an intergalactic cultural ladder, they simply remedied the problem by, well, destroying Earth entirely. Ah, but not before the Titan itself is launched into a distant galaxy for safe-keeping, and a handful of important human beings are evacuated into the stars before the impending destruction. 15 years following the catastrophe, man is an endangered species and in desperate need of something to save them – and thus, in traditional (but effective) science fiction form, a great quest to find the key to humanity’s perseverance ensues. Cole’s distinction from most others equally anxious to discover said ship is that his father is actually the mastermind behind the vessel’s inception, and the only means to unlock its secret whereabouts lies in a ring that was given to him 15 years before, mere moments before both men fled a dying planet and were separated forever. This ring, when activated, contains elaborate maps detailing specific travel points and paths to take in order to reach their goal. The problem? The Drej are also after the Titan, and for the completely opposing purpose. That the narrative is loosely inspired by Daniel Defoe’s great literary work “Robinson Crusoe” is not an element to be ignored – director Don Bluth acknowledges such by including a snapshot of a man holding said novel in his hand during the film – but it is not plot that ultimately drives the on-screen energy of “Titan A.E.”. Consider, first and foremost, the fact that its ideas belong not to a major studio blockbuster, but rather a simple little cartoon; the mere prospect seems to drive the animators into spheres of imagination that go beyond what we come to expect of the genre even by today’s standards. As an object of antagonism, the Drej are meticulously crafted and executed to be something more than just an angry alien race; they are metaphysical beings, fleshless and made out of pure energy, as if to imply that typical instruments of destruction will be useless in the hands of the human characters. Other visual touches make distinctive use of the film’s sense of boundless wonder, and we are given precious sights such as an orchard of hydrogen trees and a climactic hunt between competing factions of characters that takes place with large and foreboding ice crystals serving as the backdrop. But still, the question remains many years later: why, with everything going for it, did “Titan A.E” flop so hard at the box office? I think the answer has more to do with appeal rather than content. For all its weight as both a crowd-pleaser and a genuinely beautiful-looking movie, the fact of the matter is that the feature is deliberately geared towards the one audience that seldom takes the time to actually see animated films in the first place: the teenage sci-fi/fantasy aficionados, most of whom would rather spend their time playing Dungeons and Dragons or re-watching Peter Jackson’s “Lord of the Rings” trilogy. To them, a major studio cartoon, no matter how accessible it may be to their nature, is simply not a hot commodity (and that is not necessarily an implausible scenario either, otherwise we might have never seen similar cartoons like Disney’s more recent “Treasure Planet” flop). Luckily for those who did actually take the time to discover it, such a situation does nothing to diminish the movie’s value. Years later, Fox’s sci-fi flop remains present in the mind despite all the obstacles it fell short of overcoming.